Bookmans Speedway loves to celebrate! There is a perfect reason to rejoice right around the corner — Egg-cellent Easter is on the way! Make this holiday memorable for your little hoppers, by taking an egg-cursion to Bookmans Speedway. We will throw our own party from 2 to 4 p.m. on Saturday, April 19, complete with an egg hunt, story time and an egg-straordinary Craft. We will help you set up your own hoppy day! Learn how to make egg-stra special cupcakes, decorate homemade bunny cookies or freeze your own fruit Popsicle! If egg decorating is a tradition or if you want to make it one, we can show you how. Bookmans Speedway has lots of crafting books for the beginner and egg-spert alike. Don’t forget the stories. In our egg-ceptional Kids Room we have all types of bunny tails. 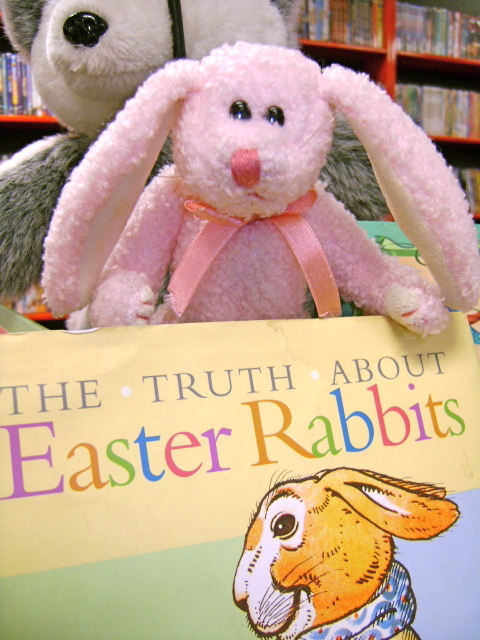 Teach your chick-lets about hopping on the bunny trail and how the Easter Bunny makes the day an egg-stravaganza. Bookmans Speedway knows how to help you make the day egg-specially egg-citing!